An introductory clause requires a comma after it to separate it from the main clause. 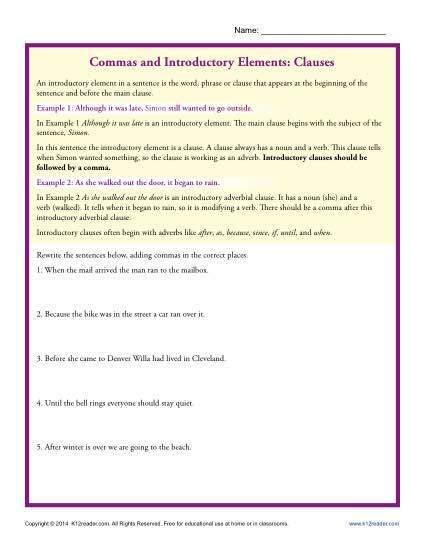 Your student will practice identifying the introductory clause and adding the comma in this worksheet. It’s a great way to practice Common Core Standards for 5th grade Language, although other students may also find it helpful.